As if antibiotic resistant bacteria weren’t enough of a worry, a recently published paper outlines a newly developed resistance mechanism in mosquitos as well. As if antibiotic resistant bacteria weren’t enough of a worry, a recently published paper in The Journal of Infectious Diseases outlines a newly developed resistance mechanism in mosquitos as well. The scientists conducted a four-year study in Papua New Guinea in order to assess the effect of a nationwide bed net distribution. 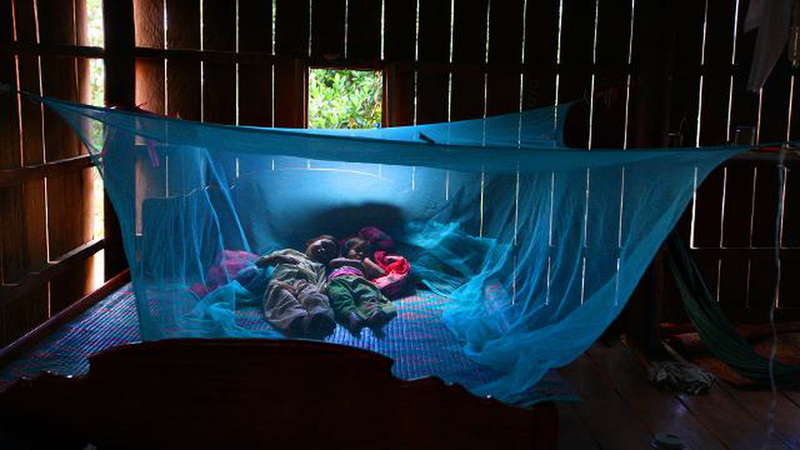 Insecticide-treated bed nets are considered to be one of the most effective ways to prevent mosquito bites, which spread malaria. According to the American Council on Science and Health, 451 million cases of malaria have been prevented in the past 15 years thanks to insecticide-treated bed nets. The study in Papua New Guinea documents how mosquitos adapted their feeding behavior over the years, in order to avoid the bed nets. Before the distribution of bed nets the median time for bites was around midnight. After the distribution the median time shifted to 10 p.m. and even more mosquitos ate between 7 and 9 p.m. when they could get to people before they were protected. The initial reduction in bites that followed the distribution of the bed nets was later reversed due to the changed mosquito behavior. Scientists observed a return to biting rates as they were before the bed nets distribution. Ultimately, it was unclear whether the program had any effect in reducing malaria cases, because the results in different villages were inconsistent. While the scientists insist that bed nets remain an important mechanism to fight malaria, they point out that the findings of the study show that distributing bed nets may not be effective everywhere.